Yangon (Myanmar) – March 23, 2019 (travelindex.com) – With highest regards to lift up hospital standard in Myanmar, Ar Yu International Hospital has been established with a Myanmar – Thai collaboration between Ga Mone Pwint Co.,Ltd , a Yangon-based conglomerate with strong reputation in retail, trading, property and real estate, joining hand with Thonburi Healthcare Group PLC., Thailand’s renowned healthcare companies with over 40 years of experiences. Both companies contribute their own expertise to create a USD 100 million project of 200-bed tertiary care hospital, well-equipped with international standard team and equipment to deliver healthcare service to patients in Myanmar. Our core mission is to deliver comprehensive international-standard health care services to our customers in Myanmar. Book your hotel in Yango, Myanmar and around the world in over 99 countries at best rates available. Earn HolidayClick Points and pay at the hotel. Book now at HotelWorlds.com! The vision of Ar Yu International Hospital is to retain Myanmar patients who are frequent flyers to foreign countries for medical treatment to stay engaged in Myanmar. To slow down the outpouring current of Myanmar patient seek treatment abroad. The Thai management team includes Thai CEO and also cover in each main area such as IPD, OPD, Emergency, Lab, Wellness Center, IT, Finance and Pharmacy. 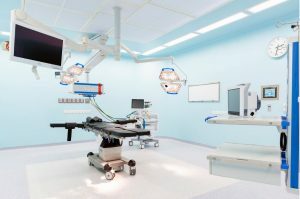 Brand new medical equipment, well trained and skillful healthcare staffs while each program is unique in its own area, together they unite a hospital team dedicated to offering the comprehensive, highest quality and international standard health care services. Rising healthcare demand in Myanmar is tied to improved standards of living and a growing middle class, who are more aware of the need for proper and timely diagnosis for better treatments. A market feasibility study conducted by the Ar Yu joint-venture prior to embarking on the project revealed that Yangon needs a large hospital of 200 beds, accommodating 300-500 outpatients per day, as well as a cancer treatment center. According to Oxford Business Group, about 90 percent of private hospitals in the country have fewer than 100 beds and are mainly concentrated in the urban areas of Yangon and Mandalay. Phase one of the new hospital aims to address that, with a focus on cardiology (Cath lab) and GI-Endoscopy. Myanmar doctors and Thai doctors collaboration is our aim to bring better treatment to the patient in Myanmar. Thai doctors will start practicing at Ar Yu in early April this year such as the Wellness Center and Medicine Clinic. Hospital Information System (HIS) is a patient-centric platform, which has the functionality to handle various types of patients: in-patients, outpatients, accidents and emergencies, daycare & referred patients. HIS addresses the entire major functional areas of modern multi-specialty hospitals. The package enables improved patient care, patient safety, and efficiency. Identifying a patient with a barcoded wristband upon admission is a good first step towards accurate patient processing. Once the wristband is in place, test and medication orders, specimens, medical procedures, and even billing have a reduced potential for error. Lab partnership between PCT lab from Thailand which provides laboratory services more than 180 hospitals in Thailand. Ar Yu Laboratory can also fulfill the needs and wants of Myanmar people which are detail diagnosis, reliability, and quality of lab services. Ar Yu has 2 phases at the same location. Now just start Phase (1) for 200 beds building and OPD 300 per day. Phase (2) will be extended at the end of the year 2019. Another 300 OPD per day and capacities will be strengthened.